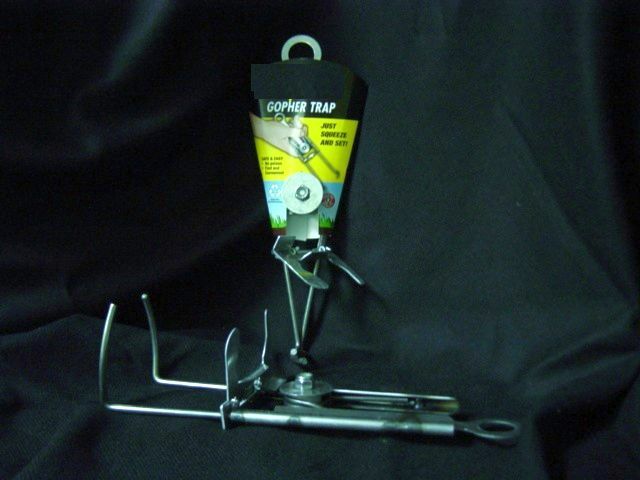 PRODUCT DESCRIPTION: Now you will no longer have to fuss with the cumbersome Pocket Gopher Traps! 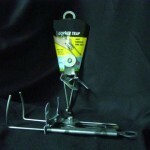 The trap you have been waiting for has been invented and is available for you. This is probably the easiest trap to set you'll ever find. Just squeeze the handles and the trap automatically sets itself. WHERE TO USE IT: In the entry/exit holes of pocket gophers, moles, voles and other small nuisance wildlife. RATE OF APPLICATION: One per entry/exit hole.